Why is Si2 such a Special Airplane? 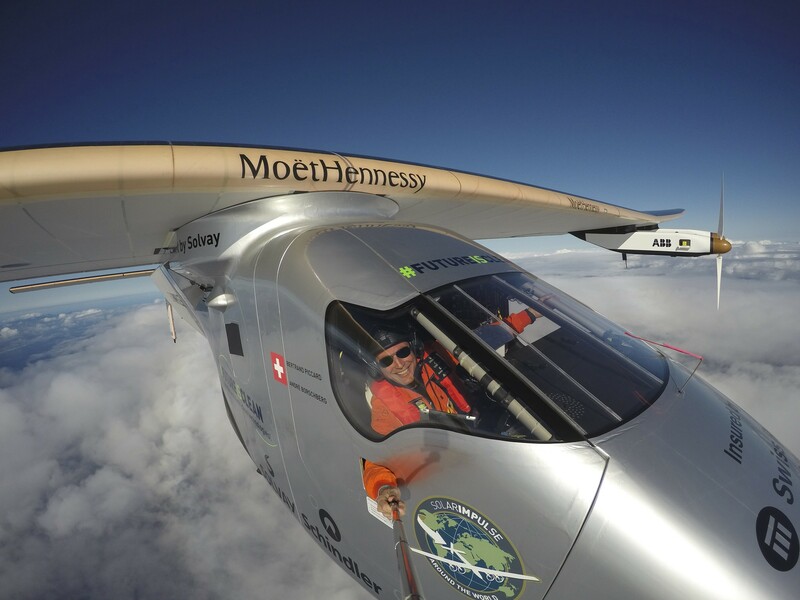 We get asked this question a lot, now that Solar Impulse has completed the first round-the-world solar flight, 40'000km without fuel! 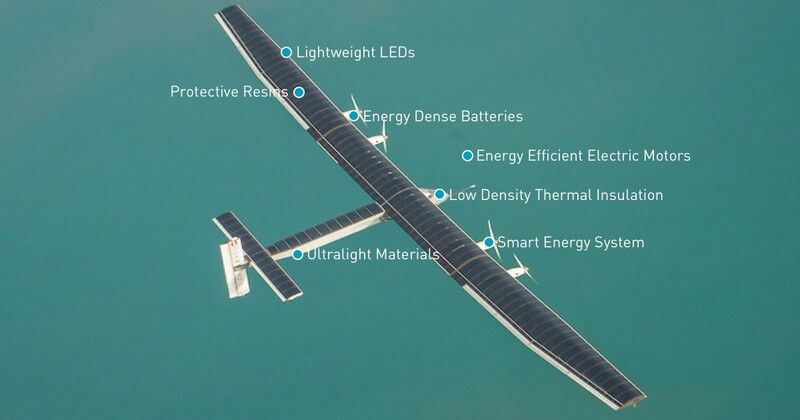 If this airplane has achieved a first for energy as well as for aviation it is because it’s technology is unique. Let’s dig deeper! 4. A protective transparent resin developed by Solvay which covers the solar cells and protects them from harsh weather. It is UV resistant, waterproof and only 17 microns thin, so barely weighs anything. 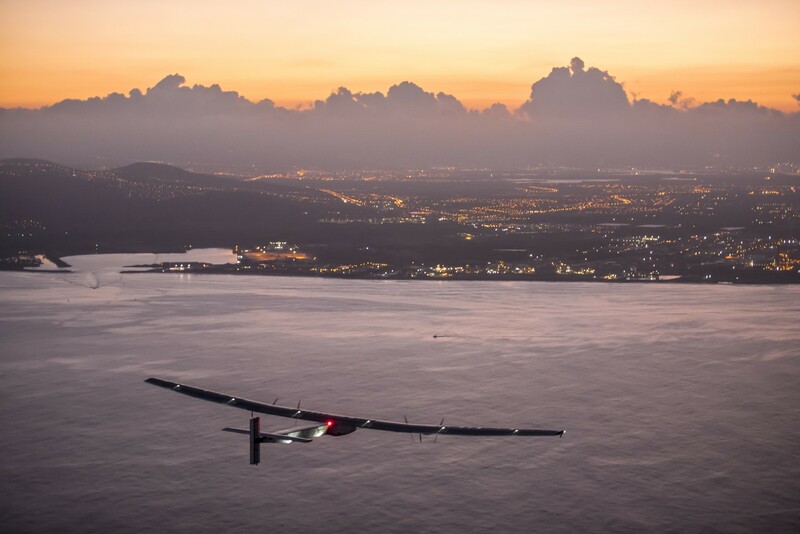 Solar Impulse arrives in Hawaii after 117h52 of flight without fuel! A first for energy thanks to clean technologies! But Si2 is more than an airplane. It is a message to encourage people to use existing clean technologies on the ground to ensure a cleaner future. With the technologies we have on this airplane, we could already cut our energy consumption, and thus polluting emissions, by two. Not to mention that they will create jobs and profit for developed and developing countries. We want as many people to hear and spread the message: let’s improve the quality of life of present and future generations without sacrificing our comfort! Over the years, Si2 has also become a friend with whom we’ve shared moments of happiness, sadness, anxiety, and so many adventures. And soon, a friend with whom we’ll have accomplished Bertrand Piccard’s dream of flying around the world with no fuel. Thank you dear companion for this hell of a ride! And then what? Well, after having had to deal with all of our acronyms: Si2, MCC, PNR, RTW… here’s a new one you’ll soon have to get used to: ICCT.